73 years, 6 months, 13 days old age. Amjad Ali Khan will turn 74 on 09 October, 2019. Only 5 months, 16 days, 10 hours, 4 minutes has left for his next birthday. Amjad Ali Khan has celebrated the total number of 73 birthdays till date. See the analysis by days count and bar graph. Amjad Ali Khan was born on 09-10-1945 in Gwalior in the state of Madhya Pradesh, India. He is an Indian Musician. Amjad Ali Khan’s real name is Masoom Ali Khan was youngest of all 7 children in the family. He was born to a musician and hence music was in his blood. 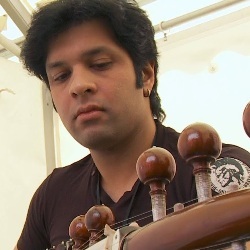 He started learning music from a tender age and completed his school level education in Delhi. He gave his first ever performance in the US in the year 1963. Since then he gave various performances for the next 4 decades of his life. He is known for improvising and experimenting with the musical instruments. He has served as a guest professor at the University of Mexico and has also joined hands with Hong Kong’s Philharmonic Orchestra. Amjad Khan is arguably one of the most decorated artists from India who has popularized the music instrument Sarod globally. For his contribution, he has been conferred with numerous awards and accolades and most notable of them being Padma Shri, Padma Bhushan, and Padma Vibhushan among numerous others. 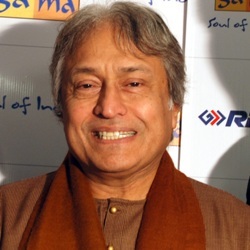 Amjad Ali Khan is the great-grandson of superstar of Sarod named Nanneh Khan. 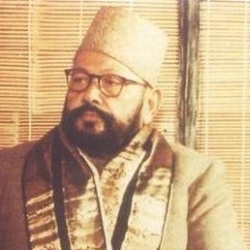 He was born to music maestro Hafiz Ali Khan and Rahat Jahan. He has 7 older siblings. He was married twice. After a failed first marriage, he married famous Bharatnatyam dancer named Subhalakhsmi in the year 1976. The couple together has two sons named Amaan and Ayaan who are also noted artists and both of them are trained by their father. For 8 years of his life, he dated a divorced woman who was elder than him in age. He had a daughter from his first marriage who was raised by his elder brother, Rehmat Ali Khan. Khan was made an honorary citizen of Houston, Texas, and Nashville, Tennessee, in 1997, and of Tulsa, Oklahoma, in 2007. He received the Banga-Vibhushan in 2011.